This is for those who planned on having their Bachelorette for their Best friend, Sister, or daughters. I have given the opportunity to review Rhinestone Sash for evaluation. 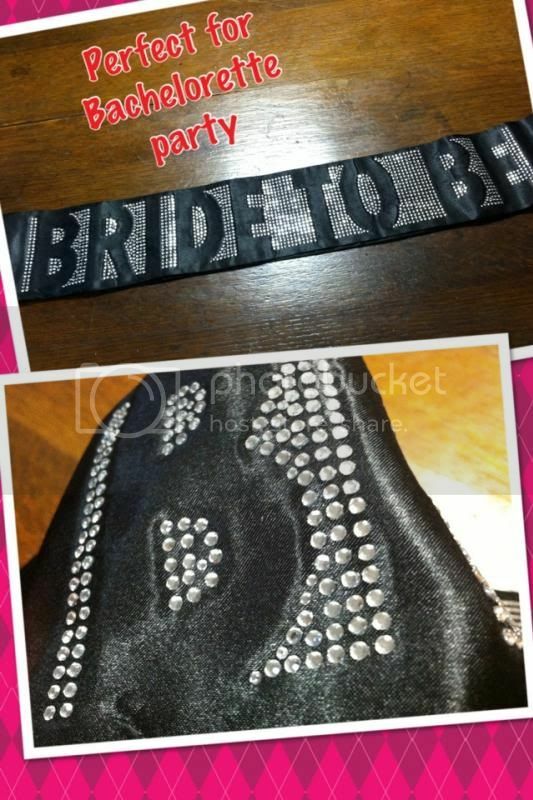 The Super Glam Bride Sash has an MSRP of $25.99 at TheHouseofBachelorette.com is one great thing you can get for that special bride. To give you insights of the product I have received. · Fast shipping, so you’ll actually get it on Time. · One size fits all. Very pretty, the bride would certainly jump to see the sash. · Covered in Real rhinestones that is attached around the printed makes it even more noticeable. It makes the bride shimmering. I do find the item very wonderful. You should get the sash for it surely is one fine product. On the other hand, if you need bachelorette party supplies, The House of Bachelorette has great supplies to offer you just simply visit the website. Make that bride happier than she expects, make it her first and unforgettable bachelorette with the girls she loved, and who loves her the most. I never wore a sash or anything like this for my wedding. Though I didn't really have a bachelorette party but rather a little party. Tis sounds like a hoot. I didn't have anything, before or after. ohh wow I never had a sash, I didn't have a bachelor party either. That is so cute. I bet any bride to be would love it. This is so cute for those brides to be! Thanks for sharing a site of where to find them for cheap! Sweet. I'm sure the bride to be will love that. What a great idea! This would be so fun for a bride to be to wear at her shower or party. Sounds like a good place to shop for brides to be. Fun product! I'll remember this for the next person I know to get married! Great idea for having the bridal shower party, and this sure is a one stop shop for any bachelorette party products.